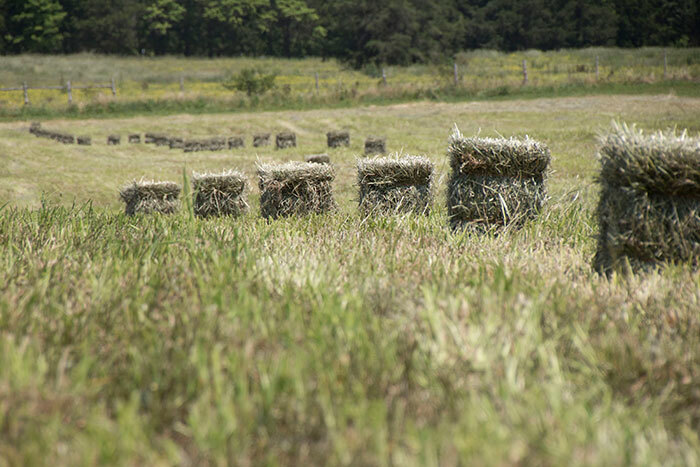 Hay producers usually try to get the most money for their product or at least ensure a profit. When the hay market is high, achieving a profitable return is relatively easy. It’s when hay prices sag that marketing skills can pay big dividends and often dictate profit or loss. 1. Differentiate yourself from the competition. This may be in the product you produce or simply by offering services that others do not. 2. Develop a relationship with potential buyers. Offer a free bale(s) to see if it meets their needs and wants. This avoids surprises at the time of delivery. 3. Don’t be afraid to offer advice and educate your customers. You may know what better fits their needs than they do, but be honest. 4. Have your hay quality tested. Though many hay buyers may purchase purely on color, smell, or absence of weeds, hard numbers provide a basis for discussion and education. 5. Offer delivery as an option. At the same time, consider discounts for hay that is picked up from the farm, right out of the field, prepaid sales, and for large quantity purchases. 6. Follow up with the customer to gauge their satisfaction. Consider replacing any bales that they deem unacceptable. Unlike other large businesses, most farms don’t have their own marketing departments. Developing a consistent and loyal customer base takes much of the risk out of selling hay. The first step to that end is to differentiate yourself from others who sell hay.